Are you looking for ways to improve and sustain the success of your MTSS/RTI framework in your school? Or, have you started the MTSS process and faced challenges you weren't expecting? What are schools that are getting good results doing? When results are unimpressive, what’s missing? 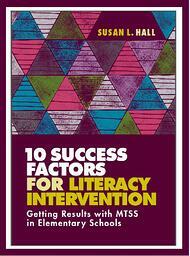 In her latest publication, 10 Success Factors for Literacy Intervention: Getting Results in Elementary Schools, author and reading intervention expert Dr. Susan Hall answers these persistent questions. 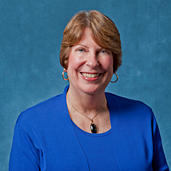 Dr. Hall's work with schools across the United States led to the development of a list of 10 success factors observable in schools that are showing significant gains in student literacy with MTSS. During the webinars, Dr. Hall candidly shares her experience helping school districts successfully implement and sustain effective processes on elementary campuses. She'll also highlight how leaders manage MTSS and make key decisions that improve the implementation process. What are the first five elements that need to be in place to begin and ensure a successful MTSS implementation? What does it take to keep your MTSS Implementation process moving forward? Learn how to INSPECT what you EXPECT by conducting snapshot observations. No matter where you are with MTSS, just starting out or fully implemented, the 10 Success Factors webinars will provide strategies and tips for delivering a continuum of support to match student needs. Now you can view both webinars at your convenience and share this information with your colleagues. Please complete this form to view both webinars on demand.